Are you looking to transform your home with an exquisite set of bi fold doors? Chesterfield, if this accurately describes your current situation, you should place a call to Clear View today on 0800 1357167. Boasting ten years of experience supplying products manufactured in-house, you’ll be hard-pressed to find a better choice for your new doors anywhere else. 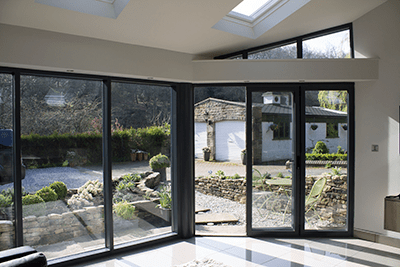 The hallmark of the modern home, bi folding doors are an option that has seen a dramatic increase in popularity in recent years – and for good reason. In most cases, these doors span the entire length of the room and when fully opened allow you and your family to transition from indoors to outdoors seamlessly. Your home will also feel brighter and more spacious thanks to the increased flow of light throughout. At Clear View, we manufacture and supply the best bi fold doors Chesterfield has to offer. Bi fold doors are easily identified by the unique way in which they open. 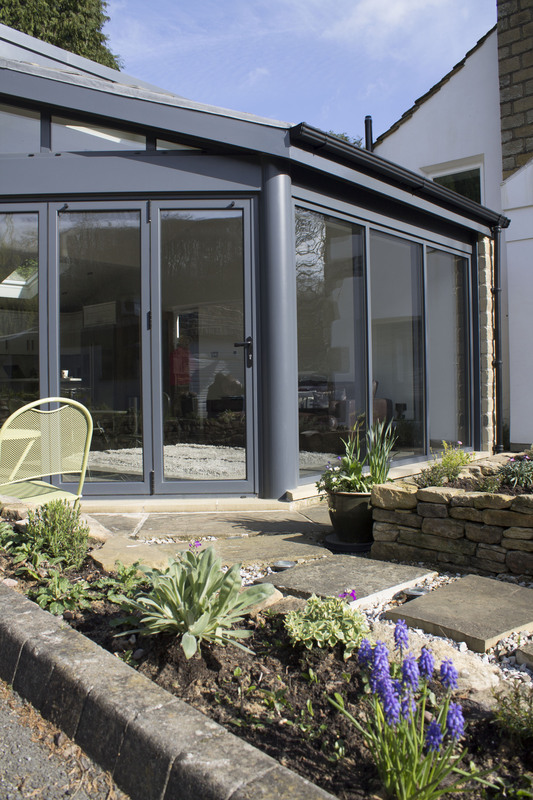 Unlike traditional doors which open outwards, bi fold doors are a multi-folding system in which each panel folds up neatly in a sort of concertina-like effect. A 90% clear opening is achieved, providing a large opening that offers complete access to the garden. At Clear View, we provide Chesterfield bi fold doors which are manufactured from high-quality aluminium. When compared to traditional patio or French doors which only provide an opening of around 40%, these make for an exceptional alternative. At Clear View, we manufacture all our bi fold doors from aluminium ensuring that these doors are strong and lightweight. Thanks to the durability of the materials we use, you’ll find these to be the toughest bi fold doors Chesterfield has to offer. What’s more is that all of our bi fold doors come with a 10-year guarantee for your added peace of mind. Here at Clear View, we provide a complete design service that will take into consideration your specific requirements. For instance, you may choose to have twin bi fold doors in Chesterfield that span both your kitchen and lounge or ones that fit into a conservatory instead. Whatever the case may be, we will take precise measurements and manufacture made-to-measure doors in your chosen colour and finish. All doors are manufactured in-house by our specialist team to your exacting standards. This way you can be certain that you’re receiving the most exceptional bi fold doors Chesterfield has to offer. Once we have produced your new doors, we will deliver them to your site and install them in your property. On average, it takes around four weeks from the point of inquiry to the final sign-off following the installation. Why Choose Clear View for Bi Fold Doors Chesterfield? 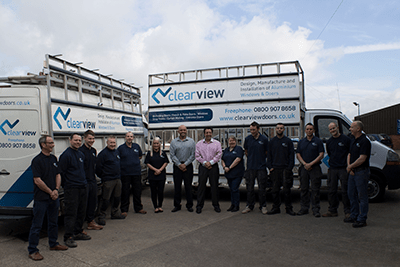 Welcome to Clear View – the premier choice for bi fold doors in Chesterfield. With some ten years of experience to our name, our creative design team can be entrusted to provide solutions which are both practical and aesthetically pleasing. Our team consists of highly qualified engineers, all of whom are skilled in the manufacturing and installation of all manner of doors, windows, orangeries and roof systems. When you select our company to manufacture, supply and install your new doors, you’ll enjoy the benefits of high-quality products all of which are fully guaranteed. As the most reliable choice for bi fold doors Chesterfield has seen, you’ll have peace of mind that we will never use any subcontractors. What’s more is that all products are produced by a team who are fully insured.